The KA-BAR TDI (Tactical Defense Institute) Shark Bite is made completely of Ultramid® B3EG6, a synthetic hard plastic material, and features a 2.625" long and 1.438" wide blade. The overall length is 5.125" and the approximate weight is 0.15 lb. The Shark Bite comes with an Ultramid® sheath and 24" 3 black epoxy coated steel ball chain. 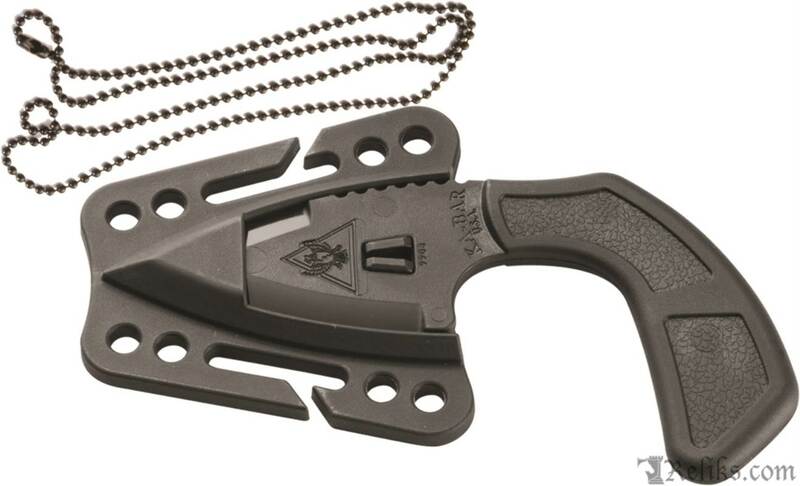 Tdi Shark Bite - The KA-BAR TDI (Tactical Defense Institute) Shark Bite is made completely of Ultramid® B3EG6, a synthetic hard plastic material. 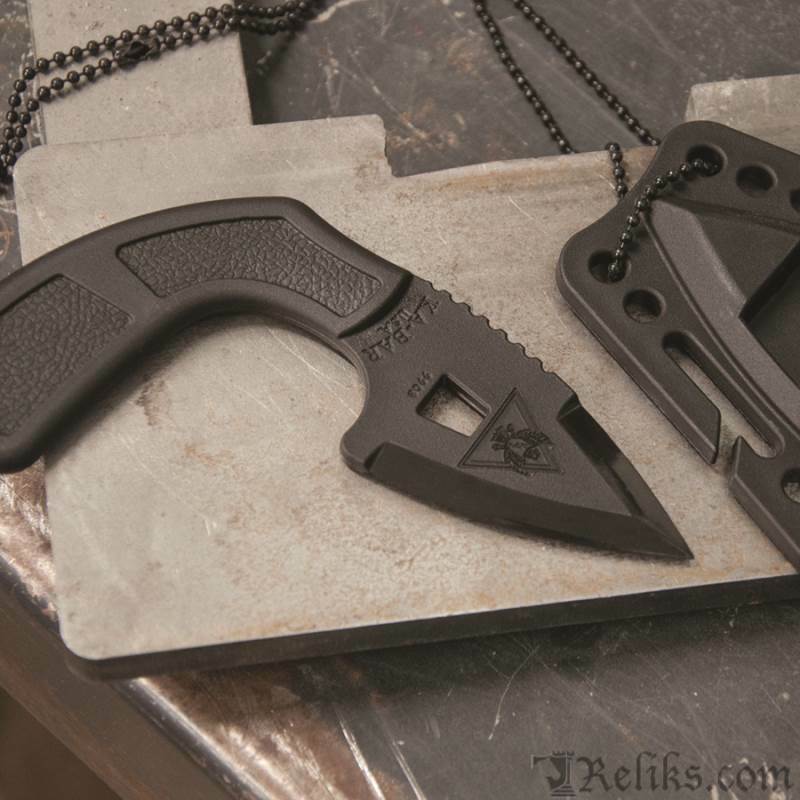 Shark Bite Sheath - The Shark Bite and sheath are completely non metallic except for the included ball chain to be used as a neck lanyard. 9908 - The Ka-Bar Shark Bite has the same angle as TDI knives are known for.